The award will take the form of a bursary. There will be four scholarships , three for new students applying to HND/BA degrees and one for students progressing from HND to BA degree. The scholarships are available to students who have overcome adversity or can demonstrate why he/she needs extra financial help with his/her studies. The scholarship funding will be up to a maximum of £1,000 per year. This would be renewed annually. To date 80 students have benefited from the bursary and we have received over £275,000 in donations to the Fund. See below or visit the News page for details of fund raising events. Must have been accepted for a place on a course within Southampton Solent University. State in writing the adversity they have overcome and/or demonstrate why he/she needs extra financial help with the cost of studies. Provide a letter of support from a college tutor. Successful applicants for HND courses will receive funding of up to £1000 per year subject to annual review. Further funding will be available for HND students progressing onto a degree course after completing their HND to receive a one off payment of a £1000 maximum. A written account will be required from the student to illustrate how they will benefit from this award. This should not exceed one side of A4. Successful applicants for BA degree courses will receive funding of up to £1000 per year subject to annual review. A written account will be required from the student to demonstrate how they will benefit from this award. This should not exceed one side of A4. The closing date for applications will be 11th July each year. Selection will take place in August for commencement of the scholarship bursary in the October of the same year. Applicants will be informed of the outcome no later than 1st September. Payments of this bursary will be made by cheque in two parts; first payment in October and second payment in February. Every year one student will be selected for their ‘special achievement’ when graduating. This will be in recognition of their special effort. 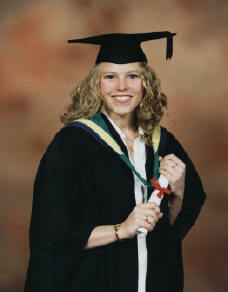 The student will be presented with a prize of £100 of book tokens at the graduation ceremony.